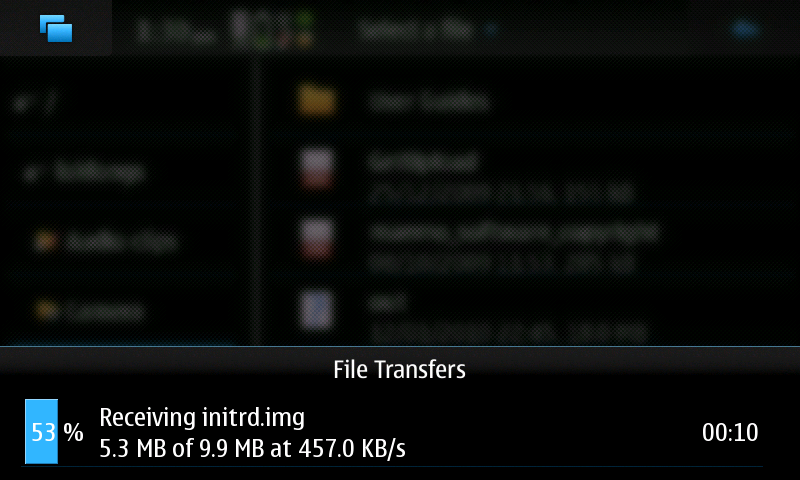 Recently, I’ve been working on a file transfer app for the N900. It’s called monorail and I uploaded it to extras-devel last night, so you can try it out right now. I implemented an OssoABookContactView with support for filtering on Contact Capabilities (or a draft of it, at least) as old-style caps aren’t great. This gives a nice list of address book contacts who have at least one account that should support receiving file transfers. It would be nice if these extra caps could go into the address book which is where they belong, but it won’t. If someone would find this widget useful, I’ll clean up the code and maybe throw it in its own library. I also started to implement a sharing plugin, but it turns out it’s poorly documented and appears to be impossible to do anything useful for my use-case, like popping up a dialog when the user taps “Share”. The example isn’t very exemplary, but does contain some amusing code. 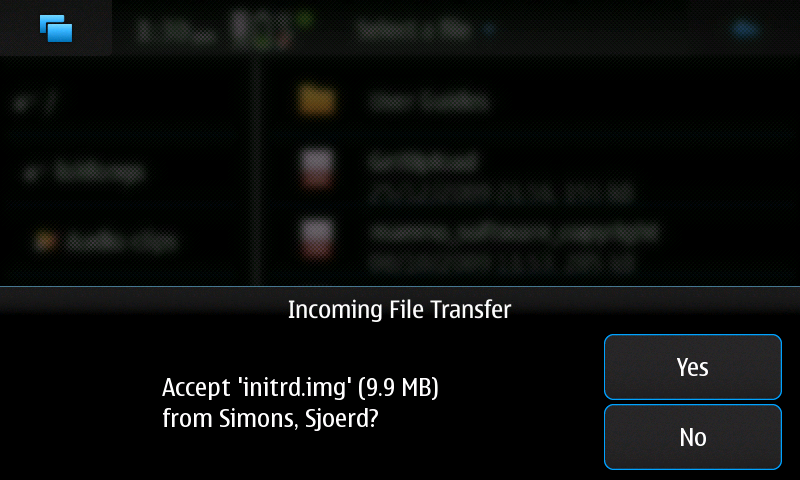 This sharing plugin is only half-written and impossible to debug. If anyone has any pointers on writing these plugins, I would appreciate them. It’s a shame that although Hildon widgets can look really good on the device, it can often take some fiddling to make them look consistent with the rest of the UI. 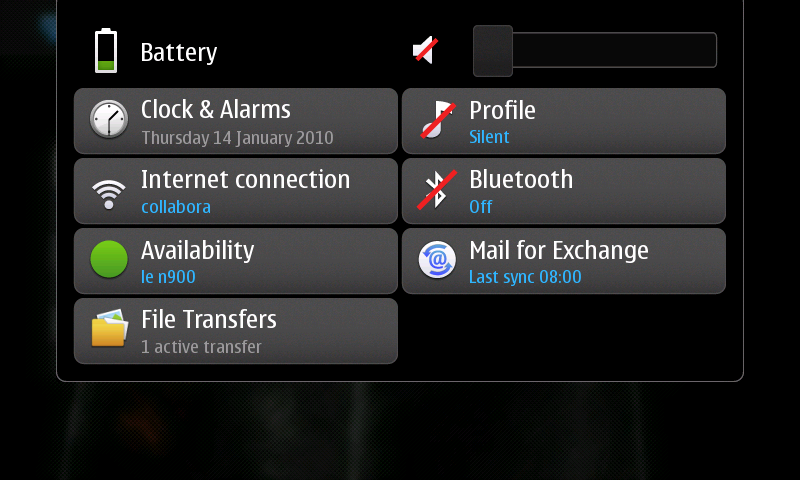 Additionally, oddities in some widgets can leave you baffled, or amused. The most annoying thing I have come across regarding this app is just how little I can get it integrated. 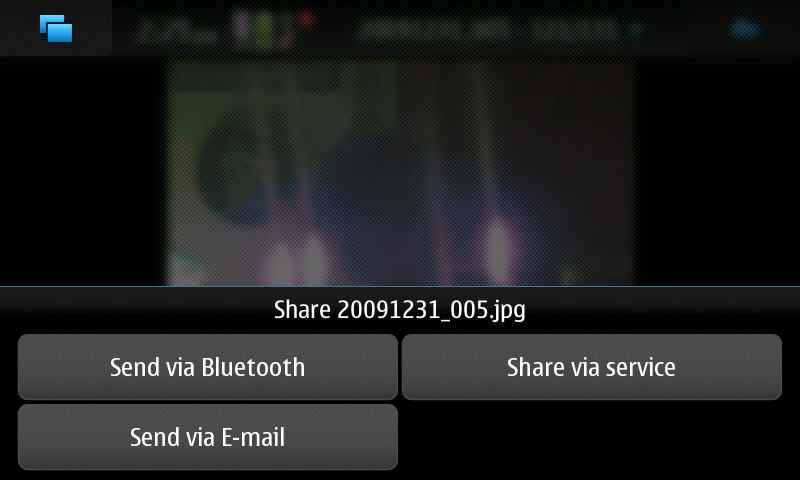 The file manager is all hard-coded so there’s no way to add a Send to Contact menu item, and no buttons can be added to the libsharing dialog (which appears when the user shares a photo) which is annoying as it looks like it’s missing this feature.